WASHINGTON/SARAJEVO – The United States will continue its strong support to the Regional Cooperation Council (RCC) as key partner in maintaining Euro-Atlantic perspective of the countries of South East Europe (SEE), senior US State Department officials told RCC Secretary General Hido Biscevic during his two-day visit to Washington, which ends today. Acting Assistant Secretary of State for Europe and Eurasia at the US State Department, Stu Jones, supported the RCC in preserving its current platform vis-a-vis political issues in the region in order to communicate with all members and consolidate the regional ownership as a genuine framework for cooperation and common development. Secretary General Biscevic informed Acting Assistant Secretary Jones and other US officials of the current challenges facing SEE, also in view of EU enlargement. “It is of strategic importance to keep the enlargement process open and complement it with EU and international support to regional economic, infrastructure and social development, as a guarantee to stability and prosperity of this part of Europe”, said Biscevic. 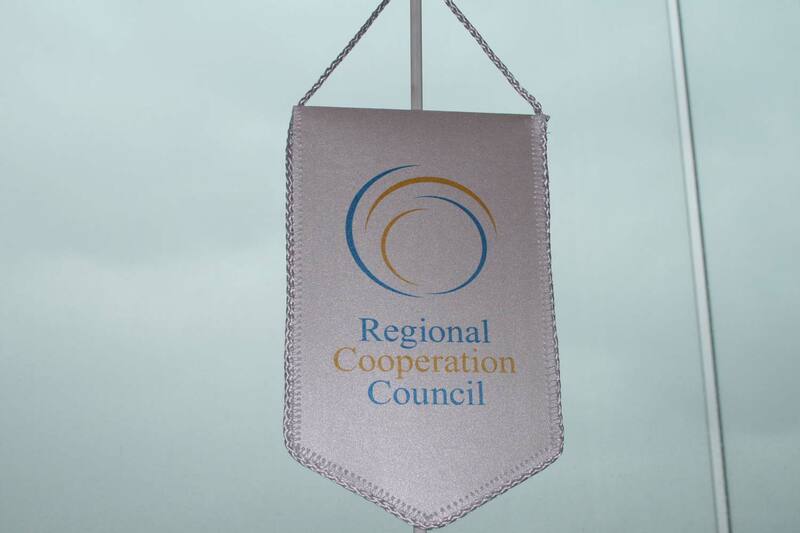 The officials agreed that the RCC should particularly focus on bringing SEE countries together around development projects and stressed a need to ensure all-inclusiveness as a ground rule for the RCC, as well as to find a permanent solution to the issue of participation of all Members within the RCC framework. Acting Assistant Secretary Jones stressed that the US will continue working with the EU on establishing permanent stability and cooperation in SEE, but added that regional leaders also need to show a greater degree of self-responsibility in addressing the remaining open issues in the region. He supported the initiative to hold a high-level conference, organized by the EU Presidency and the European Commission with active involvement of the RCC later this year, focusing on the European perspective of the Western Balkans, addressing adverse effects of the financial crisis in the region, and strengthening regional cooperation in SEE. Secretary General Biscevic separately met with Dan Rosenblum, Coordinator of the US Assistance for Europe and Eurasia, to discuss economic situation in SEE. The meetings were also attended by Jason Hayland, Director of the Office for South Central Europe, Henry Kelley, RCC National Coordinator, and John Boris, adviser for the RCC. The RCC Secretary General also held talks with World Bank Vice President Shigeo Katsu and other officials. He warned that the world economic crisis could have serious impact on national economies in SEE. Secretary General Biscevic thanked Vice President Katsu for the strong World Bank support to the RCC in its first formative year, especially on projects to establish the South East Europe Firefighting Regional Centre and the Southeast and Central European Catastrophe Risk Insurance Facility, which are expected to be finalized in a near future. He also invited the Bank to support development of the Regional Strategy for Research and Development in the Western Balkans, which is being designed under RCC auspices. Vice President Katsu stressed that the World Bank remains an important RCC partner in promoting development in South East Europe to the benefit of its people.